The very idea of ASI conducting surveys and excavations were always interesting for me. That type of work requires extreme patience and dedication over a long period of time to complete. They really did a good job in restoring historical sites (Hampi, Sanchi etc). However, some recent developments in ‘Daudia Khera’ village are not at all encouraging. For those who are not yet familiar with the sequence of events unravelling in this small village, located on the banks of Ganga, let me explain it briefly. All started with the dream of an 65 year old ‘Shobhan Sarkar’, who has a large local following. According to him he got "a divine intervention" that there is a deposit of 1000 tonne gold under the remains of an old fort. Interestingly it didn’t stop there. According to reports, intervention by a cabinet minister made ASI to start digging the area for gold!!! By the way, in Google maps that place is already marked as '1000 tonne gold spot'!!! Question is not only about the validity of claim, but also about the way our administration works. Frankly speaking, I don’t see any possibility for 1000 tonnes of gold to be there. 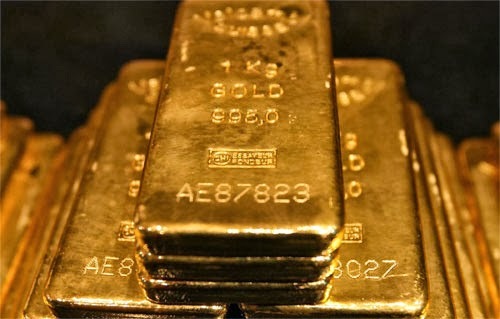 According to a report by Business Standard in August, total amount of gold currently with GoI is 557.7 tonnes only!!! Now look at the situation in hand. Someone made a claim, and government jumped into the bandwagon for the reasons best known to them; and ASI became ready to spend its time and effort in it!!! Is this the way we want our government to function? Is this the way we want our ASI and GSI to function? Tomorrow someone else can have a dream, will ASI repeats the same procedures there as well. The actions on the ground, although stupid are because everyone, from the Government to the Common man is hoping we find something. Part lies in illiteracy of the people of course , but ASI involvement shows that the Government is getting desperate to get out of the hell hole we created for ourselves.